Congratulations, you have almost started! In this chapter, we would like to give you a brief overview of ETH Zurich (so that you don’t get confused by all the abbreviations people love to use) and the things you should do during your first day at work. In order to get you started properly, ETH Zurich organizes an orientation event twice a year. It is an introduction to ETH Zurich as a university and as an employer. The intention is to facilitate integration into ETH Zurich’s culture and help new arrivals to meet each other. The subjects covered are ETH Zurich in general (organization and mission, doctoral studies at ETH Zurich), ETH-Zurich specifics (European research programs, equal opportunities for women and men, Language Center of the University and ETH Zurich, ETH Bibliothek (main library), IT Services, Human Resources, Corporate Communications, Doctoral Administration, Educational Development and Technology, Security, Safety, Health and Environment, Psychological Counseling Service). 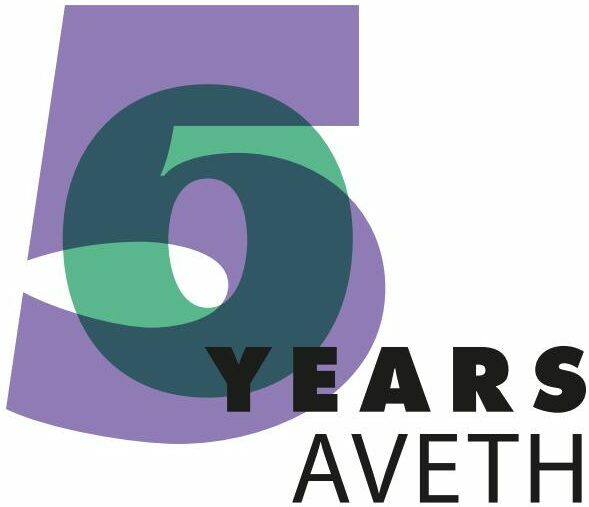 Furthermore, some of the many associations and units that exist at ETH are represented, including AVETH and many others (Alumni, ASVZ, Career Center, etc). Registration is not necessary. Details can be found on the ETH website. Tertiary-level technical research and education is organized on a governmental level in Switzerland through the so-called ETH Domain. There are two such universities, one in Lausanne, in the French-speaking part of the country (École Polytechnique de Lausanne), and one in Zurich, in the German-speaking part (Eidgenössische Technische Hochschule Zürich). Apart from these two universities, there are four national research institutes (EMPA, EAWAG, PSI, WSL). The ETH Domain is regulated by the ETH-Zurich Act. There is a board (ETH board) which is responsible for the strategic management of the whole ETH domain. All other universities are governed by the cantons. If you are interested, you can find information via www.ethrat.ch. ETH Zurich opened its doors in 1855. The official English translation for Eidgenössische Technische Hochschule is Swiss Federal Institute of Technology. ETH Zurich defined excellence pillars in Education, Research and Knowledge Transfer. It has more than 400 professors, over 13’000 Bachelor’s and Master’s students and more than 3’800 doctoral students, 32 percent of whom are female and 63 percent of whom are from abroad. 21 Nobel-Prize laureates have contributed to the success story of ETH Zurich. More than 215 spin-off companies have been created at ETH Zurich. There are two main campuses: ETH Zentrum campus and ETH Hönggerberg campus. In addition to these two, there are other small campuses across Switzerland: Irchel, Basel, Lugano, Oerlikon, Technopark, Rueschlikon, Schwerzenbach, and Atelier Gisel. A wealth of information on ETH is available on the ETH website. More information about the Executive Board can be found here. The University Assembly (Hochschulversamlung) is a body where the four member groups are equally represented. Each association elects five members of the University Assembly. The role of the Assembly is to ensure the participation of stakeholder groups in the decision-making processes of general interest at ETH Zurich and ETH-Domain level. The Assembly is thus entitled to express an opinion on all normative acts of the ETH Board and ETH-Zurich Executive Board, and comment on the budget and the planning, the abolishment/ creation of teaching and research units, as well as on annual reports. Depending on the topics discussed, the Assembly may invite guests from the ETH Domain and members of parliament. Are you interested in the politics and the governance of universities and research institutions? Then the University Assembly is a perfect place for your voice to be heard! Join AVETH and learn more about how to become elected as our representative in the Assembly. More info on the Assembly’s homepage. 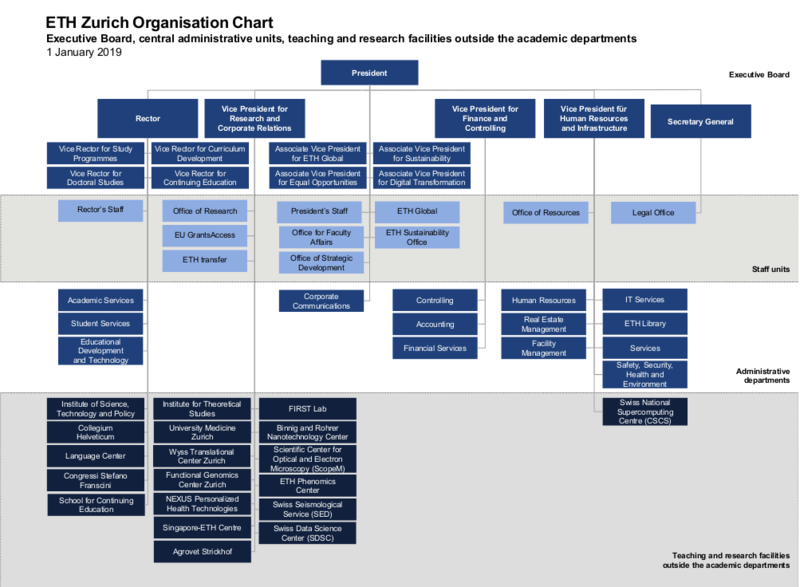 ETH Zurich is divided in 16 departments covering five disciplinary areas. The head of a department, who represents the department internally and externally, is elected for a period of two years. In order to ensure participation in decision-making at departmental level, there exists a Department Conference (Departementskonferenz; the highest body of the department). The responsibilities of the Department Conference are diverse and include academic planning, the adoption of study-related regulations, establishment of rules or procedures for the department, and the allocation of resources. Much like the University Assembly, every Department Conference is attended by representatives of the professors, students, administrative personal and scientific staff. Quite often, important decisions regarding department-specific doctoral study regulations are made at the Department Conferences. Thus, if you wish to change things for the better in your department join the Department Conference and defend the interests of your local scientific staff community. Teaching Committee (Unterrichtskommission), which deals with study-related issues. Contact your AVETH department association or department secretary for more information regarding the possibilities of participating in internal political life. Please note that ETH Zurich’s academic calendar is different from those found at many other continental European universities as it rather follows the American system. The updated calendar can be found at on the ETH website. Prior to receiving your contract, you will have to register with human resources. Your group secretary or human resources will contact you for that purpose. You might receive your contract in advance by post. Information on your employee status can be found on the webpage of the Human Resources. Together with your contract, you will also receive a book about your rights and duties as an employee in Switzerland. The HR department also has an updated version of this information on their homepage. The doctoral registration is performed by the Doctoral Administration. We urge you to read their webpage carefully as it contains a wealth of important information. You need to fill out the registration form (available on the webpage) and have it signed by your professor. Your doctorate officially begins with this registration. If you register between semesters, please note that you will be matriculated starting from the following semester. Please note that the Doctoral Administration is not responsible for processing your visa and employment contract. Your supervisor and Human Resources are responsible for processing these documents. Once the Doctoral Administration receives your complete application, you will be matriculated and receive an ETH card (Legi) within approximately two weeks after submitting your application (only if you do not have one already). myStudies serves as a platform to manage your studies, i.e. you can enroll in the semester and courses, register for exams and so on. After having enrolled for the respective next semester (needs to be done every semester! ), you can re-validate your ETH card and you will receive a set of matriculation confirmations by regular mail. You will be notified by email if enrolling in the next semester is possible. You will have to login with your nethz-account. Nethz is the central user management system of ETH Zurich; it regulates the access to various user services of the ETH (mystudies, mailbox, vpn, WiFi, printing …). Go to www.passwort.ethz.ch to see what you can do with your nethz-account or if you have to change your nethz-password.